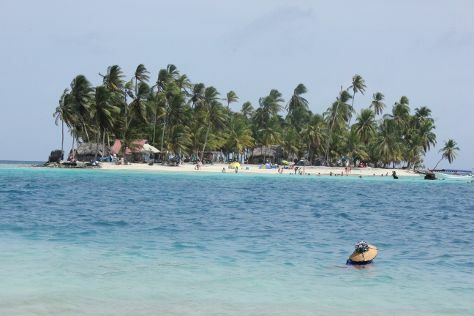 San Blas Islands represent the offshore area of the indigenous province of Guna Yala. Most of the 378 islands remain uninhabited, offering pristine beaches, calm seas, and unspoiled scenery. The larger islands are home to the indigenous Kuna people, who manage them in line with their long-held beliefs, laws, and customs. A holiday in San Blas Islands provides a pleasant and engaging balance between cultural exploration and traditional beachside lazing, with visitors making their way between inhabited and uninhabited islands in the archipelago, staying in traditional accommodations made by the Kunas. San Blas Islands is in Guna Yala Region. Add San Blas Islands and other Panama destinations to your travel plans using our Panama trip itinerary maker app . Dotted around San Blas Islands, rustic lodges, more guesthouse than anything else, offer a chance to get to know the local way of life. Many guesthouses have their own private beaches and will arrange day trips to other islands if you ask ahead of time.